There are famous ballet dancers around the world who have become absolute legends in ballet. Yet only a handful of dancers can be classed as 'legendary' through the history of ballet. 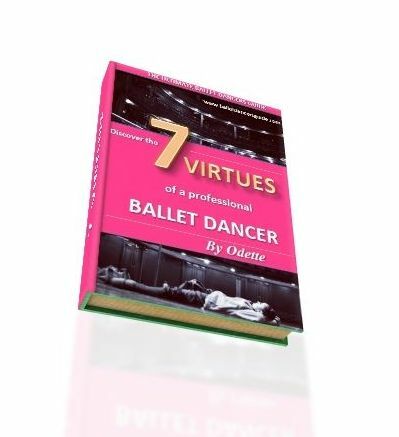 The dancers on this page have all led their way to success to become a renowned ballet dancer of their time. Here you can see why and who has made their mark in ballet history. Is it a unique quality? A famous leading role? Or destined path to stardom? Some of the famous ballet dancers include Anna Pavlova, Rudolf Nureyev and Margot Fonteyn. What other famous ballet dancers do you admire, or aspire to be like? Go here to have your say. Marie Taglioni became the great influence on the Romantic era of ballet. Taglioni was soon remembered as a legend in ballet after starring in the role La Sylphide where she created a new and idolized image for ballet pointe shoes. Taglioni was born into family of dance. 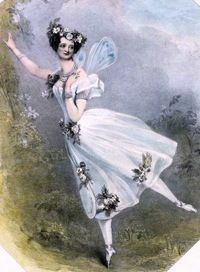 Her father, Filippo Taglioni, was an Italian choreographer and therefore it gave her the unique opportunity to dance a ballet especially created for her. The La Sylphide performance soared her fame to success and the audience admired her graceful and airy quality in pointe shoes. Taglioni was also the first to shorten her ballet skirt which displayed her intricate pointe work for the audience to see. Taglioni continued to teach after her dancing career and it is clear to say she became one of the most famous Italian ballerinas. The audience loved her so much that they even named cakes after her! Anna Pavlova is known as one of the finest classical ballet dancers. A Russian ballerina, widely recognised today, she is also particularly famous for her creation of The Dying Swan. The Dying Swan was choreographed especially for Pavlova, by Mikhail Fokine. She danced it about 4,000 times and became the first ballerina to tour around the world. Pavlova was accepted with the Imperial Ballet in 1899 and appeared in La Fille Mal Gardee the same year she joined. By 1905, Pavlova was appointed prima ballerina. Pavlova had very high insteps and had to re-equiped her pointe shoes for her to dance in them. She is often said to have influenced the start of the modern pointe shoe. During her career, Pavlova also danced with the famous Ballets Russes of Sergei Diaghilev. Today, Vaslav Nijinsky is still remembered as one of the greatest male ballet dancers of the early 20th century. Nijinsky was a Russian dancer and rose to fame through his unique individuality and magnificent jumps. Nijinsky first joined the Mariinsky Theatre, St. Petersburg, in 1907. He was a magnificent classical dancer and performed in the well known ballets such as The Sleeping Beauty and Swan Lake. 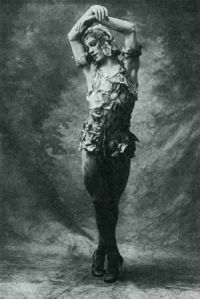 Nijinsky was recognised for his range and strength in characterisation and had many roles created for him. When he later went on to join Serge Diaghilev’s Ballets Russes in 1909, the choreographer Michel Fokine created Le Spectre de la rose especially for him. Rudolf Nureyev gained bigger audiences than any other dancer. Nureyev was a Russian dancer and made his first appearance in London with the Royal Ballet. When Nureyev performed Giselle with the famed Margot Fonteyn, their partnership grew to make a famous history in ballet. Nureyev gave a new light to the male dancer and expressed an artistic skill that had not been seen before. Nureyev became was not only a talented dancer but also a choreographer, director, partner showing true influence on ballet history. Margot Fonteyn is widely known as the greatest English ballerina. For more than 40 years, Fonteyn's name dominated British ballet. Fonteyn spent her whole career with the Royal Ballet. She carried on dancing until she was 58 and her partnership with Rudolf Nureyev became a worldwide sensation. The British choreographer Frederick Ashton took a shine to Fonteyn and she become his muse for many of his ballets. Ashton created several roles especially for Fonteyn, displaying her unique quality of musicality and technical skill.